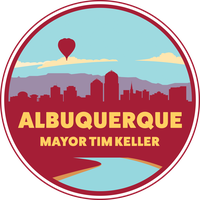 Awards were given for the 2018 Mayor’s National Day of Service. ALBUQUERQUE, NM – Mayor Tim Keller and First Lady Liz Kistin Keller participated in the fifth-annual Mayor and County Recognition Day for National Service today. They honored local volunteers at the 2018 National Service Recognition Day luncheon and awards ceremony on Tuesday, April 3, 2018 at the Albuquerque Convention Center. Local AmeriCorps and Senior Corps were in attendance, as well as members of the public. Across the country, more than 5,200 local elected officials recognized AmeriCorps members and Senior Corps volunteers for their service. These participating officials represent more than 216 million Americans. The nation’s mayors and county officials are increasingly turning to national service to address local challenges. By unleashing the power of citizens, AmeriCorps and Senior Corps programs have a positive and lasting impact – making our cities and counties better places to live. From helping communities ravaged by hurricanes recover, to fighting the opioid epidemic, to helping seniors lead independent and healthy lives, national service members act locally to address America's toughest challenges head on.